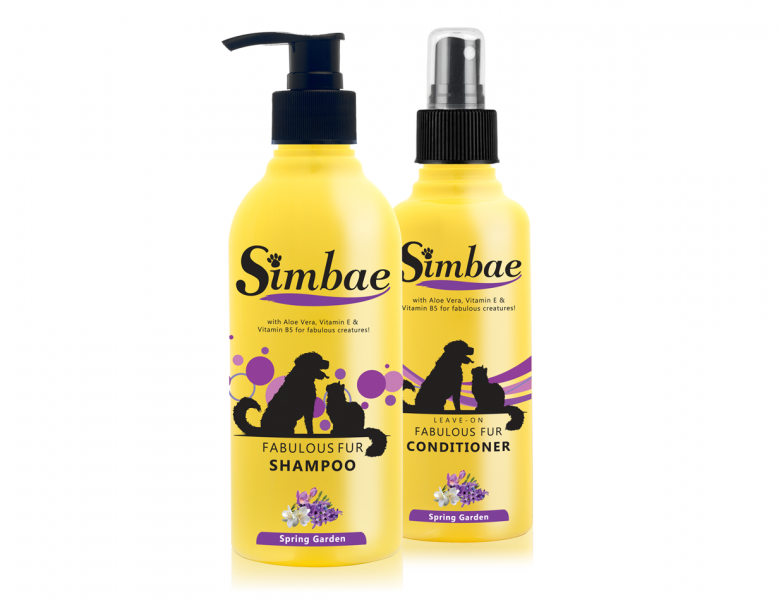 Simbae's Fabulous Fur Shampoo uses a gentle, pH balanced solution that will nourish and leave your pet feeling pampered. Natural elements of Aloe Vera, Vitamin E and Vitamin B5 will prevent itching, leaving the skin feeling smooth and fluffy. With coconut oil for that extra shine! The Fabulous Fur Bundle consists of Fabulous Fur Shampoo and Fabulous Fur Conditioner. Vitamin B5 to provide nutrients to restore coat.